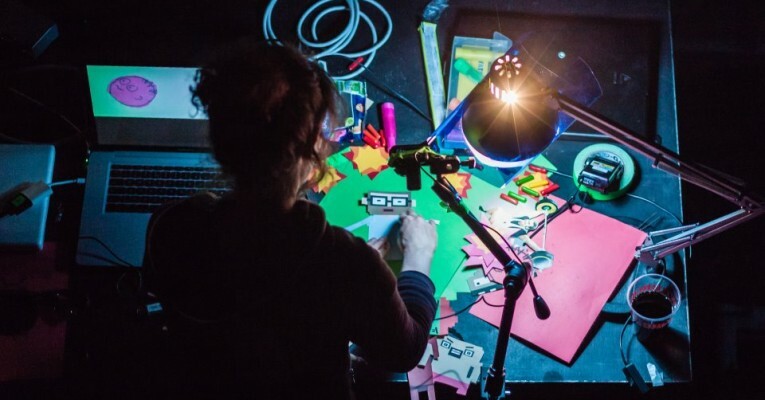 Loud matter is a live performance featuring live made stop motion Animation, by artist & animator Marieke Verbiesen. A Dutch artist who works with different projects in electronic arts. Building up to a variety of eccentric animated loops, the animations form a playful, synchronised kinship with the music, using animation as a live performative tool. Abstract narratives are created with paper cutouts, day-glow erasers, candy-canes and other identified and unindentied objects. Loud Matter can be seen at FAQ Festival on April 7 and 8 at De Toonzaal.